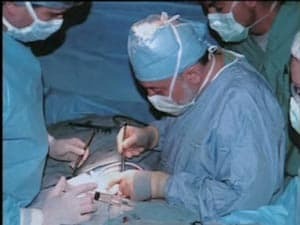 Dr. Sherman Silber and his surgical team perform the first ever whole ovary transplant. On Dec. 10, a baby girl was born from the first-ever full ovary transplant. The baby’s mother had lost her fertility when she went into early menopause at age 15 because of another medical problem. Later in life her twin sister (the baby’s aunt) donated a working ovary so that she may conceive. At age 38, she gave birth for the first time. Dr. Sherman Silber of the Infertility Center of St. Louis and his colleagues reported the medical advance. A handful of other children have been born from transplanted ovarian tissue, specifically the outer shell, but the technique is not always successful. Since the baby’s successful birth, doctors are anticipating using the technique to help women with fertility problems, or cancer patients who wish to protect their ovaries from chemotherapy. Silber told Reuters that the technique of transplanting frozen ovaries may one day be used to lengthen a woman’s fertility across her lifetime. “If she’s 40 or 45 when she has it transplanted back, it’s still a 25- or 30-year-old ovary, so she’s preserving her fertility,” Silber told Reuters.